The electrical system is a critical component affecting both the operation, safety, and reliability of your vehicle. 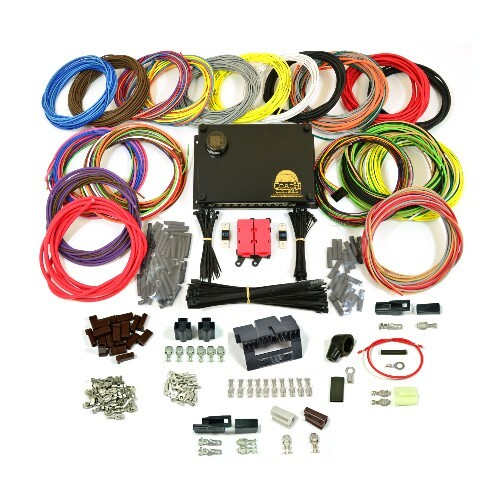 As with any wiring system it is important to have the proper tools and equipment to install your wiring kit, but it is equally important that you have knowledge and experience with automotive electrical systems. You should be familiar with voltage, current, and resistance, and how to use a volt/ohm meter and clamp-on current meter to measure these basic parameters. If you do not feel you have the necessary tools, knowledge, and experience, Coach Controls strongly recommends that you get professional assistance with your wiring project. 1. Crimp or Solder Wire Connections? A common question we're asked is whether to crimp or solder connections. For the answer to that all we really need to do is look at NASA and the Department of Defense. 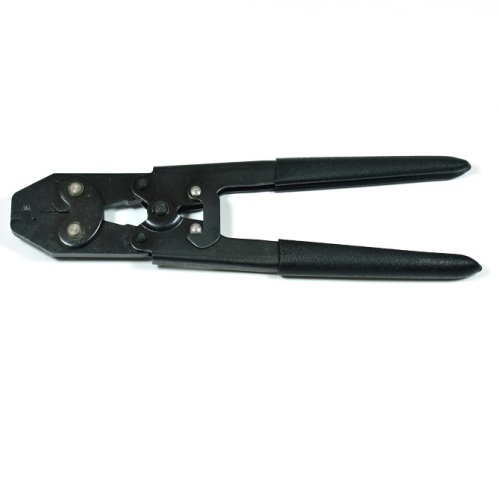 These government agencies require maximum reliability for space and military hardware and they always crimp connector terminals. The reason is that solder can make wire brittle and more prone to breakage and corrosion. This is especially true of small gauge wire that can break easily after a few bends near a soldered connection. So there's your answer, Coach Controls highly recommends crimping all terminals using a quality crimp tool and DO NOT solder. 2. Cooling Components says their fan needs a 70 amp relay. Your kits use a 40 amp relay for the cooling fan. Isn't the 40 amp relay too small? No. The largest, most power hungry cooling fan on the market (that we know), made by Cooling Components draws approximately 27 amps, with 56 amps required for initial startup (also known as "inrush"). Inrush current is common to most electrical equipment, is typically much higher than the steady-state running current, and usually only lasts for a fraction of a second. The Cooling Component fan electrical load is well within the specification of our high quality sealed cooling fan relay. To verify, we purchased one of their baddest fans and ran extensive testing with over 5000 On-Off cycles in a "worse-case" configuration. No failures. If you have two cooling fans just verify that the total running current for both fans doesn't exceed 30 amps. If the total exceeds 30 amps you will need to add another relay for the second fan. 3. Will the supplied flasher work properly if using LED signal lamps? Our Coach-1 kit is 100% compatible with LEDs, but the electronic flasher supplied with our Roadster and Coupe kits requires a minimum of 1 watt load to flash. If you use LED lamps for both front and rear they may not meet this requirement. We suggest using LEDs on either the front OR the rear but not both. If you want all LEDs you will need an LED flasher. Technostalgia ph: 866-258-5670 sells LED flashers but they are square and will not fit the standard round hole in our cover without modification. 4. 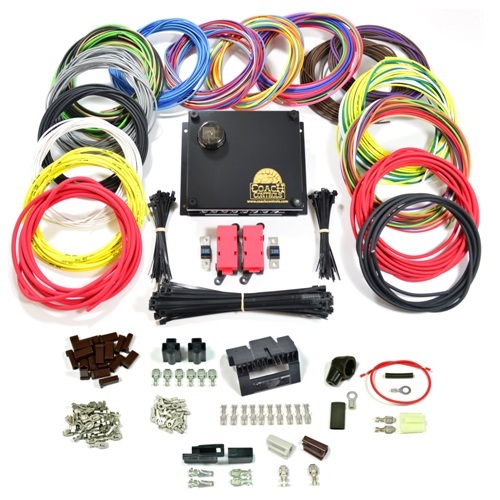 Can this kit be wired so that the front parking lights turn off when the headlights are turned on? Yes. We have a number of wiring diagrams for alternate configurations you can download and print. 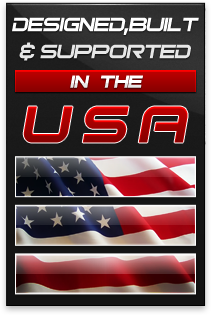 See our Wiring Diagrams under Tech Support. 5. Can the 20 amp fuse for Power Door Locks be changed to 30 amp? Yes, under certain circumstances. 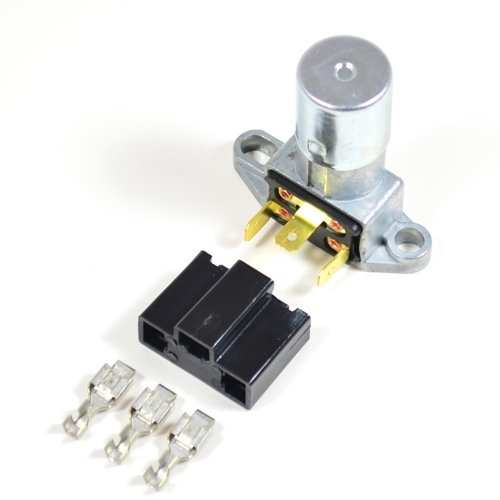 For door poppers (heavy duty solenoids) or power seats, it is acceptable to use a 30 amp fuse in place of the standard 20 amp Power Door Lock fuse. The Power Center is designed for these heavier loads, just be sure to use at least 14 awg wire or heavier. 6. I haven't bought a battery for my car yet. Can I just use a battery charger to test/verify my wiring installation? NO! Battery chargers typically output an AC voltage for charging. Even when connected to a battery the charging voltage can exceed 16 VDC. In either case, a battery charger can damage automotive electrical equipment designed for 12 VDC only. If you use a charger, we recommend charging your battery with all equipment turned off. Test your installation with a fully charged battery without a charger connected. However, using a low amp (1.0 amp - 1.5 amp) battery maintainer while testing is acceptable. Maintainers typically keep the battery voltage at 13 - 14 VDC which is acceptable for testing. 7. Do I have to use Daytime Running Lights? No. Although we highly recommend using the daytime headlight feature known as Daytime Running Lights, we provide a separate output for conventional (switched) headlights. See our Wiring Diagrams under Tech Support for conventional headlights. Note, however, that some state laws may require use of Daytime Running Lights for additional safety. 8. LED Headlights and the Coach-1 wiring system. LED headlights typically are not compatible with the low power Coach-1 Daytime Running Light feature. LEDs work off of low voltage and require a special regulator designed for the lamp. If you try to operate the LED headlamp in Daytime Running Light mode, the lamp may not illuminate at all. If it does illuminate, it will likely be just as bright as full power low beams. Our recommendation is to cut the jumper on the Coach-1 Power Center to disable the DRL feature. 9. The wiring diagram shows the Power Center is powered from a 100 amp fuse connecting to the Alternator. Shouldn't the hot side of the fuse be connected to the Battery instead? Sounds logical, but no. After starting, the car gets its power from the Alternator, not the Battery. So both 10 awg leads feeding power to the Power Center should be connected to the Alternator through a 100 amp fuse as shown.